Pete Blackshaw emphasizes the need for credibility in this new consumer-centric world. Businesses that are successful in this consumer-driven market are those that embrace credibility and its core drivers of trust, authenticity, transparency, listening, responsiveness and affirmation. Blackshaw guides us around the pitfalls of ignoring the changing dynamics of customer relations. Blogs, wikis, newsgroups, forums, Facebook, MySpace: Often these are terms of which businesses are only peripherally aware — usually in relation to employee distractions on the Internet that decrease productivity. Often, it isn’t until an angry and dissatisfied customer begins an online campaign of complaint that a company realizes the Internet and its accoutrements have radically changed the face of customer service and how businesses need to approach it. Dell Computers learned the hard way; so did Comcast, Verizon, AOL and a host of other prominent companies. 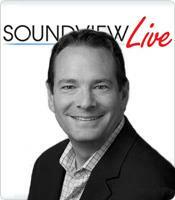 Thankfully, Pete Blackshaw, one of today’s leaders in the study of online media and consumer opinion, is here to help. His new book, Satisfied Customers Tell Three Friends, Angry Customers Tell 3,000: Running a Business in Today’s Consumer-Driven World, guides readers through the pitfalls of ignoring the changing dynamics of customer relations and is a clarion call for companies to embrace online media as the newest, and perhaps strongest, weapon in their marketing arsenal. Blackshaw makes the case for CGM as both a company’s best marketing weapon and its worst nightmare. He provides numerous examples from the experiences of well-known companies to illustrate the double-edged nature of the CGM sword. From Nike, which has had to expend considerable effort to defuse the viral rumors of its association with sweatshop labor, to Starbucks, which was able to diffuse an angry customer’s post to Consumerist.com with a quick response to his complaint and a gift card, Blackshaw shows the enormous value of monitoring and responding proactively to CGM. Blackshaw provides his readers with a comprehensive overview of the basics of navigating the consumer-driven marketplace. He provides character sketches of the four most influential CGM creators (Techno Teen, Power Mom, Gadget Guy and the Radical Flamethrower), details free tools that readers can utilize to monitor CGM, and provides advice on how to make not only corporate Web sites but entire corporations more responsive to and welcoming of CGM and its creators. However, perhaps most important is Blackshaw’s emphasis on the need for credibility in this new consumer-centric world. 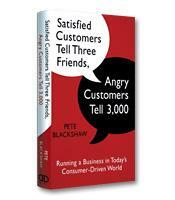 At its heart, Satisfied Customers Tell Three Friends, Angry Customers Tell 3,000 is a treatise on credibility. Every aspect of Blackshaw’s advice to his readers, from how to respond to specific CGM influencers to how to utilize customer feedback to improve offerings and service, ultimately boils down to the fact that the businesses that are successful in the consumer-driven market are those that embrace the idea of credibility and its core drivers of trust, authenticity, transparency, listening, responsiveness and affirmation.